Allyssa McCabe, Ph.D., is professor of psychology at University of Massachusetts Lowell. She founded and co-edited the journal Narrative Inquiry and has researched how narrative develops with age, the way parents can encourage narration, cultural differences in narration, and interrelationships between the development of narrative, vocabulary, and phonological awareness. 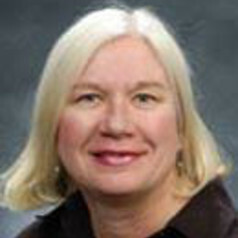 With David Dickinson, she has developed a theoretical approach to early literacy called the Comprehensive Language Approach, which looks at ways that the various strands of oral and written language (e.g., vocabulary, phonological awareness, print knowledge) affect each other in the acquisition of full literacy. A key concern is with assessment of preschool-aged children, especially preventing misdiagnosis of cultural differences in language use as deficits. With Chien-ju Chang, she most recently published Chinese Language Narration with John Benjamins. She conducted a successful intervention with preschool children attending the Bartlett School in Lowell, enlisting graduate and undergraduate students to build the oral language skills such children need in order to learn to read and write. With Khanh Dinh, she was funded to study the narrative life stories of Latino and Cambodian high school students in Lowell. With Jana Sladkova, she was funded to study the narratives of immigrant children in Lowell.